Absolutely, unequivocally NOT! But that’s exactly what I used to think. I had NO idea what a Life Coach did and why one would be necessary, but long ago when I first heard the term, my immediate reaction was, “Really? People need someone to tell them how to do life? LAME-O!” Boy was I off base. WAY off base! I had much to learn. I have to be honest, my love and respect for this individual was really the only reason I gave the idea any credence and my sole motivation for looking into it. The rest of the story, however, is a mind blowing example of how God moves in our lives. Lindon and I spent some time researching Life Coaching and reviewing the suggested curriculum. We began to understand both the need and the importance of Christian Life Coaches. We were amazed by the parallels of the profession and the premise for our book. The fit was undeniable and the call on our lives was equally as obvious. We immediately signed up to begin our coaching journey. Simply put, Life Coaching takes you from ‘where you are to where you want to be.’ There are a multitude of coaching niches, but the key is to coach to something you’ve walked through, survived and thrived beyond so you can personally speak to the challenge. There are executive business coaches, divorce coaches, coaches for parents with autistic or ADHD children, single parent coaches and grief coaches just to name just a few. Who doesn’t get stuck in a rut from time to time? Who hasn’t encountered a situation which presents a unique challenge? How many vibrant, smart and motivated people can’t see the clear picture because they are immersed in the center of a dilemma and are too close to be objective and clear? We would argue none! These scenarios are exactly where a coach is instrumental. “Coaching is the second-fastest growing profession in the world, rivaled only by information technology…” It’s growing because there’s a demand and the results are speaking for themselves. Lindon and I have developed a deep love and passion for coaching. We thoroughly enjoy coaching our clients. We’ve made lifelong friends and gained incredible mentors along the way. God has provided amazing opportunities for our future aspirations. We feel so very blessed. We offer individual personal development coaching, with an emphasis on decluttering (of course! ), as well as couple to couple marriage and relationship coaching. Lindon also coaches to small business and finances, and I have a huge heart for coaching the single parent. We listen, help develop strategic Action Plans and hold clients accountable on follow through. Encouraging and supporting them every step of the way is an integral part of the process. Trained through LightU, affiliated with the International Christian Coaches Association (ICCA) and credentialed by the Board of Christian Life Coaching (BCLC), we are qualified, experienced and motivated to coach you! Whether you’re looking for a Life Coach or desire information about becoming one, click here for more information and contact us; we’d love to hear from you! Trust me when I say there is nothing lame about Life Coaching, except perhaps, missing the call to seek or become one! This entry was posted in Inspirational, Self-help, Uncategorized and tagged action plan, assist, BCLC, Challenge, Christian, dilemma, follow-up, help, ICCA, life coach, LightU, struggle. Bookmark the permalink. 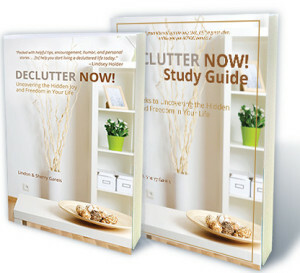 ← 5 Steps to Declutter Christmas!